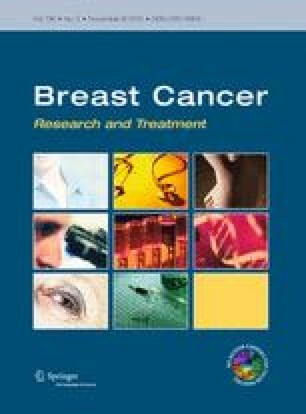 The purpose of this study is to provide more definite evidence regarding the role of dose modification of chemotherapy in obese women with breast cancer by systematically reviewing current literature regarding chemotherapy-induced toxicity rates in obese and non-obese women with early-stage breast cancer. A systematic search of Pubmed and EMBASE was conducted to identify original studies investigating chemotherapy-induced toxicity in obese women receiving adjuvant chemotherapy treatment for breast cancer. Ten studies were identified. We noted low rates of adjustment for confounders such as prophylactic hematopoietic growth factor use and empirical dose reductions. Seven studies found reduced toxicity in obese compared to non-obese women. Of four studies, where dose capping was precluded or statistically adjusted for, three found reduced toxicity in obese women. These outcomes include less febrile neutropenia (body mass index (BMI) >23.6; odds ratio (OR) 4.4; 95 % confidence interval (CI) 1.65–12.01), fewer hospital admissions (BMI >35; OR 0.61, 95 % CI 0.38–0.97), and fewer neutropenic events (BMI >25; OR 0.49; 95 % CI 0.37–0.66). Only a single study reported higher rates of toxicity in obese women, but this study had significant methodological issues. As a conclusion, we observed that obese patients tolerate chemotherapy better than lean patients. However, this may be confounded by poorly specified dose capping practices and the use of hematopoietic growth factors. Further research should focus on improved documentation of body size, of dose, and of use of growth factors, and analysis of how these affect recurrence rates, toxicity, and survival.